Australia has always been the most desired immigration destination among Indians, and it’s justifiably so. From having a diverse economy to promising employment opportunities, Australia has everything a person desires to attain a fulfilling life. In case, Migrating to Australia is on your mind, however, not sure about the process related to Australia PR visa, then this article is just for you. In this article, we will talk about how to migrate to Australia from India? And the steps one should take to become acquire a permanent residency status of the country. The immigration process to Australia isn’t too complicated, even it is the simplest provided you have understood the intricacies involved. Australia follows a point-based system, therefore, people who wish to migrate must score at least 60 Australia PR points in order to qualify. This point system is known as SkillSelect, which allows individuals interested in moving to Australia to be considered for migration based on the points obtained. The programs are designed to make the visa process more streamlined and cost-effective. It also makes the process for applicants comprehensive and fast. How to Get Australia Immigration from India? In case of sponsored or nominated. Get the nomination or sponsorship from a state or territory government, in case you are applying from state or nominated visa categories. Select the occupation you wish to continue working in Australia from Skilled Occupation List (SOL). Submit an Expression of Interest (EOI) online as a way of exhibiting your interest in applying for Australia immigration. In case, your profile gets selected, you’ll receive an invitation to apply to apply further for the visa. It’s essential for every candidate applying for the visa to score a minimum of 60 points based on factors such as age, education, work experience, English proficiency, etc. Must clear medical tests and provide police clearance/good character certificate. 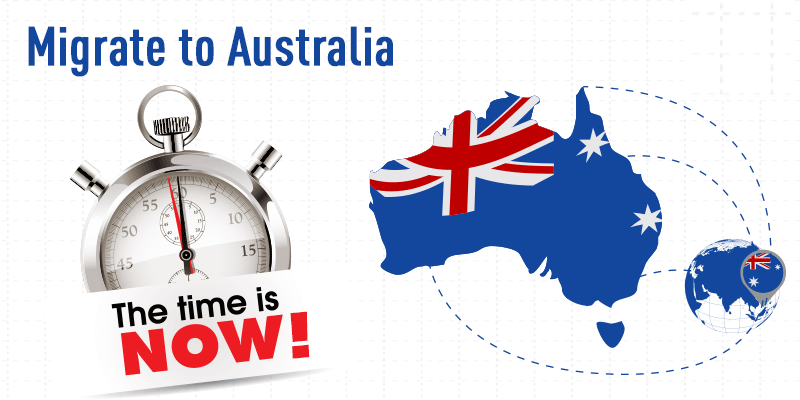 Still wondering how to migrate to Australia? 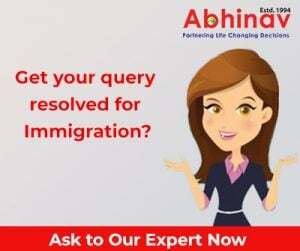 Get in touch with a reputed and experienced immigration consultant and kick-start your visa application today.